As a kid, i pretty much grew up getting most of the things I wanted . I didn’t get out of order, I was respectful, had parental guidance and all but I rarely got ‘no’ for an answer. Well, if i did get a ‘No’, it always came with an explanation fit for a child. The story changed as I got older and started interacting with people outside my home. Let’s just say I found it difficult to understand how people’s opinion were different from mine and why they were not really interested in giving me an explanation as I would usually get at home. I later got to learn that you cannot always get the ‘home treatment’ anywhere you go and i began to adjust to not expecting too much or no explanation at all from anyone who disagreed with my opinion. That is one habit I had to ‘unlearn’ because it started affecting my relationship with people around me. (With the way I argue, some people have wondered why I did not study law in school). All through life, we must have picked habits from childhood or presently as adults. These habits can be beneficial for living a meaningful life. However, there are some habits that are detrimental to our personal growth and relationship with the people we meet daily. Those detrimental habits are the ones we need to look out for and ‘unlearn’. We always have to explain ourself. We keep convincing ourself that it is fine to do it. We never get a compliment from doing a particular thing. It is always yields a negative result. Unlearning a bad habit is not magical as it cannot be done in the twinkling of an eye. However, a frightening encounter can make us stop a bad habit but if that is not the case, we will have to put in conscious effort and focus on achieving the desired goal. Using different examples in the 8 steps below, I will explain how we can unlearn habits that deter us from living a meaningful life. Accept there is a ‘bad habit’ that causes you harm: Nothing can really be done, until we accept there is a problem and we desire to get it fixed. Identify what triggers you to indulge: For example, Do you binge eat or drink because you are sad? Do you sleep a lot because you are bored? List out the harmful effects of indulging: Here, identify the negative things that happen when you indulge in a bad habit. For instance, complaining too much alters a relationship between two friends or eating without moderation is not good for the body. Determine to stop indulging: Reach to the conclusion that you need a better relationship with others or you need to keep fit. Try to control the triggers: If you tend to be disrespectful when speaking, try to be calm and avoid replying immediately. Pay attention to your choice of word and thoughts. Break routines and create new activities: If you will usually go to your favourite icecream spot after work, substitute that for time at the gym or for learning a new skill. Monitor your progress: Write down your challenges and try to fix it gradually, observe people’s reaction to the changeso you have made. Involve friends that will genuinely call you to order: Let your friends know they can call you to order when you start derailing. We are human, so do not expect to unlearn bad habits overnight. Do not also beat yourself up when you faulter. 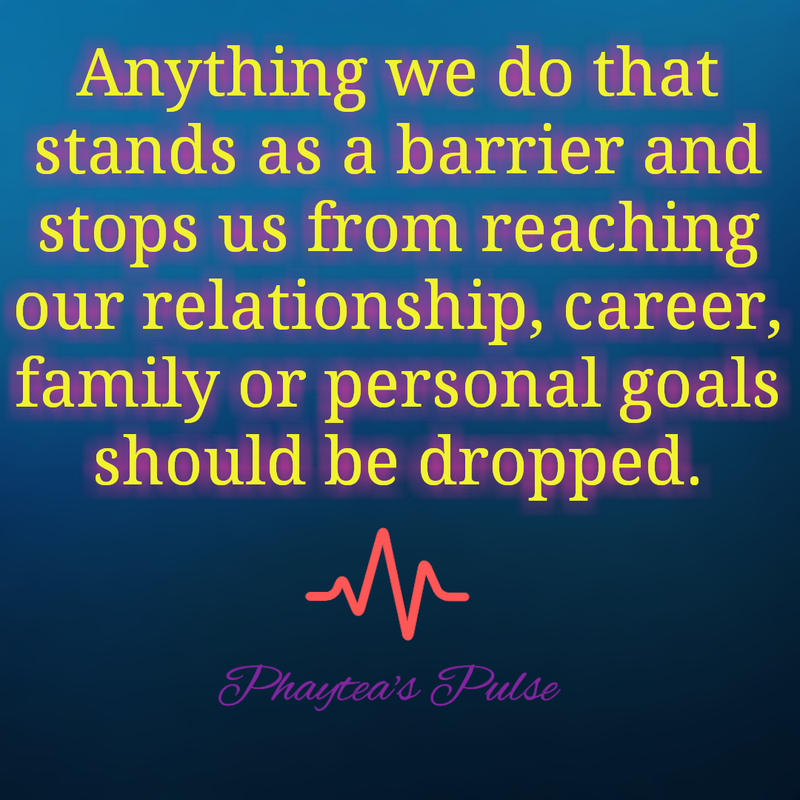 Just always recognise that anything we do that stands as a barrier and stops us from reaching our relationship, career, family or personal goals should be dropped. Do you have any bad habit you are willing to unlearn? What others method have you used to unlearn a bad habit? Have you ever missed an opportunity because of a bad habit? I would say that one of my best qualities is the fact that I always try to better myself. I know my flaws and my bad habits and have no problem in admitting them. Changing is hard and I don’t always achieve it, but I always mean to and I always try! This was a very interesting read. My daughter is very argumentative so I hope she’s able to realize this one day. What a wonderful post for the ones who wants to unlearn their bad habits! Good post. It’s good to understand your bad habits and start learning new to make you a better version of yourself. 🙂 My bad habit could be staying awake too long and regreting it every second morning haha! Maybe I’ll concentrate on that. I know what are you talking about. I also rarely heard no as an answer, but somehow I managed to grow up as not a selfish person at all. And I somehow knew what I can and cannot. Habits are very hard things to break. We definitely need to break the bad ones. The only way I have found to do it is to supplant them with good habits instead. May we all find good habits to start in our lives. I believe that there is always a choice. I have a tattoo that says “in my life, I decide”. No matter what happens, you always decide how to handle things and this is the same as taking barriers away to dreams. Thank you for the lovely contribution Sabine 🙂 🙂 …We should be responsible for the outcome of our decisions. When I’m angry, I tend to say things that I don’t mean just to vent it out at that moment. I don’t like holding grudges so I say whatever comes to my head and most of the time, it’s hurtful and I don’t really mean it. Its a really bad habit, and something that hard to fix. And later on, I always have to deal with the consequences of my word. Because let’s face it, words are powerful and it hurts. Thanks for this post, it made me really think about my habits. Next Post Venting tips to save the day.